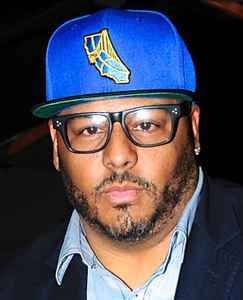 R&B singer/songwriter/producer Al B. Sure! was born on June 4th, 1968 in Boston, Massachusetts but grew up in Leonia, New Jersey and Mt. Vernon, New York. Between 1988 and 2009 he released four albums produced mostly by Kyle West. In 1988 he teamed up with the rapper Slick Rick for his single "If I'm Not Your Lover", included in his debut album In Effect Mode that went on to sell more than two million copies. In the same album, were included his crossover quiet storm mega hit Nite And Day / Off On Your Own (Girl) his biggest ever hit (#7 in the U.S. pop charts and #1 in the U.S. R&B charts, nominated for Grammy for Best Vocal R&B Male Performance) and his cover of Killing Me Softly (which Lori Lieberman first recorded in 1971 but Roberta Flack made it an all time classic in 1973.) In 1989 Quincy Jones chose him to sing along with Barry White, El DeBarge and James Ingram on the smooth soul suite "The Secret Garden (Sweet Seduction Suite)" that was included in his double platinum album "Back On The Block". In 1990 he teamed up with Diana Ross for his single "No Matter What You Do" that was included in his second album "Private Times...And The Whole 9! ", in which he also covered the classic Eagles' 1976 hit "Hotel California". As songwriter and producer, Al B. Sure! introduced Jodeci, Tevin Campbell, Faith Evans, Dave Hollister, Case and Usher. In 1993 he was featured in David Bowie's "Black Tie White Noise" single, included in his same-titled album. In 1994 he covered "I'm Still In Love With You" (a glorious hit for Al Green in 1972) for the soundtrack of "Above The Rim". He has, as well, contributed backing vocals in recordings of Heavy D. & The Boyz, Starpoint, Jeremy Jordan and Chubb Rock, among others.